A Chiang Mai Luxury Hotel? An Uber Luxury Airbnb? Howie’s HomeStay defies simple categorization. Imagine a completely private luxury Chiang Mai hotel with an amazing personal chef (Howie’s wife), and an incredible host / concierge (Howie). Another way to describe it would be like an uber-luxury Airbnb, but it is unlikely that Airbnb has any properties or hosts at this level. If you want a “local”, luxury experience – look no further. I believe that this is the type of authentic experience that luxury hotels and resorts all over the world aspire to create. Enjoy all of the benefits of a world-class luxury Chiang Mai hotel (incredible rooms, incredible property, friendly staff, amazing food). Now add all of the benefits of an incredibly well-connected, thoughtful, and helpful local host who doesn’t have any ulterior, corporate motives. I work in the travel industry and have been fortunate enough to stay in incredible hotels all around the world. I wish Howie’s HomeStay was the future of luxury travel. But it probably won’t be, because there is only one Howie. I therefore recommend experiencing it while you can. Previous reviews have already described how wonderful the property and Jerri’s food is, so I won’t repeat them. Some highlights of our stay at HHS – visiting open air markets, tasting local food with our wonderful guide Addy, a day with elephants, and also just enjoying the peace and beauty of the property. Each day at Howie’s HomeStay was magical. I therefore found myself waking up early just to make the most of each day. If it weren’t for HHS, we would have had the same predictable, touristy experience as most visitors to Thailand. We probably would have stayed in a hotel in Chiang Mai’s city center, and thought that Chiang Mai was just another city full of tourists, tchotchke shops, tacky bars and massage parlors. But thanks to Howie, our experience of Chiang Mai was authentic, luxurious, and delicious. We hardly saw any tourists at all, except at a few temples. It was one of the best trips of my life, and I don’t say that lightly. 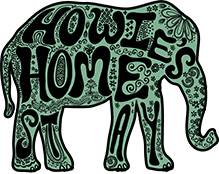 If you want an unforgettable trip to Thailand, start by booking with Howie’s HomeStay. 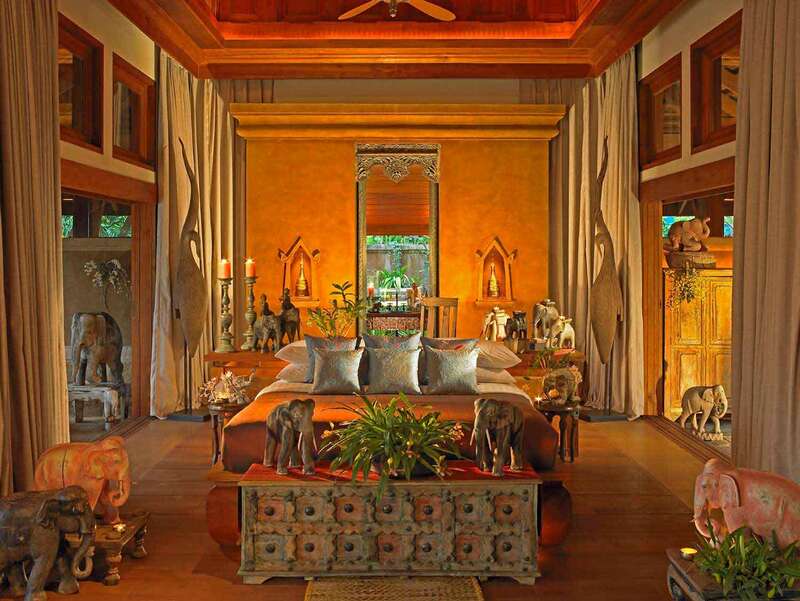 Certainly one of the best luxury hotels in Chiang Mai, Thailand. We only take one booking at a time. This therefore guarantees that you and your party will be the ONLY guests at the property throughout your stay. ALL-INCLUSIVE RATES providing 3 daily home cooked meals, airport transfers, mini bar and much more included in the price. 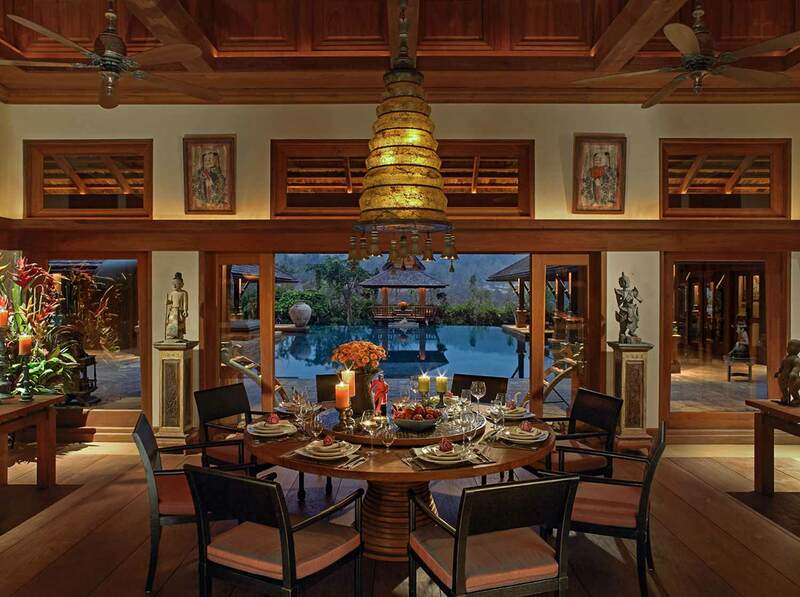 Howie’s HomeStay is our interpretation of classic Lanna Thai beauty. Everything about this luxury boutique hotel represents a higher level of luxury. Our Thai villa and holiday resort is also an exclusive sanctuary of complete serenity, striking beauty and gracious service. We therefore give a whole new meaning to the private boutique hotel concept. 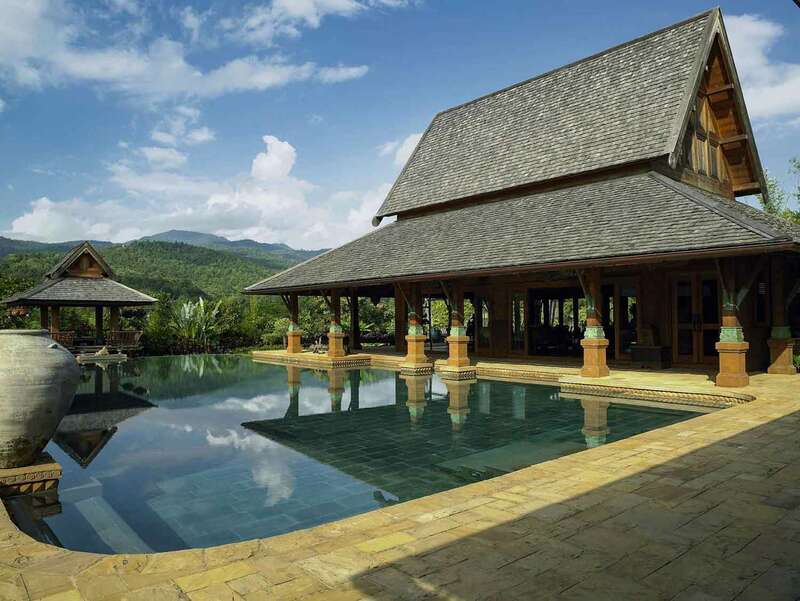 Every day you will wake up among the lush green foothills of the Himalayas outside Chiang Mai and appreciate staying in the magnificent surroundings of your own private luxury Chiang Mai villa. We specialize in impeccable service, spectacular gardens and award winning architecture. We also provide delicious, authentic homemade Thai meals which are ALL-INCLUSIVE. Enjoy all this in the utmost privacy which is simply not available in other Chiang Mai luxury hotels! Each pavilion houses its own tucked-away accommodation. A large three-bedroom compound accommodates families. There is also a romantic stand-alone villa with an outdoor shower and lily pond views. We can therefore accommodate groups or families up to 8 people. 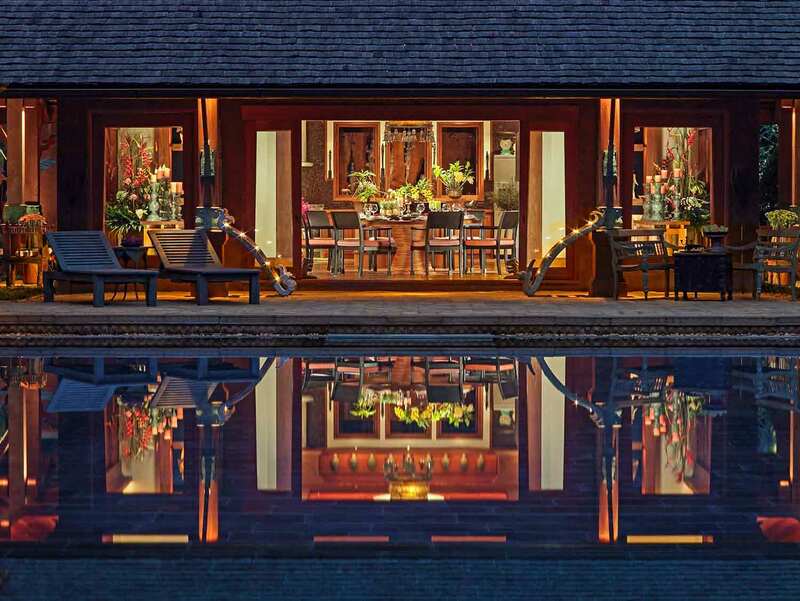 This Chiang Mai luxury resort has individual pavilions that frame a large salt water infinity pool. The 5 acre estate also includes magnificent gardens with sweeping views of the Himalayan foothills. Additionally a multitude of activities are right on your doorstep.